Chef Alex Bollinger grew up cooking for his family, and after two years in college, he decided to pursue his passion full time and headed to the Culinary Institute of America in 2003. 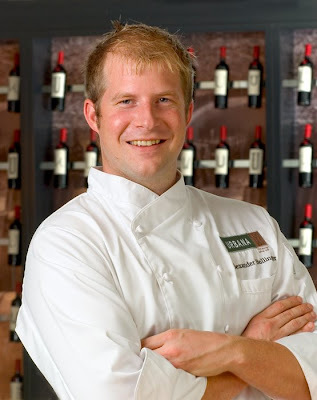 After stints at Aureole and Charlie Palmer Steak, Bollinger was tapped to be executive chef at Urbana Restaurant and Wine Bar in the Hotel Palomar. Here are his bites. more cute chefs! I can't take it anymore! There are a lot of hotties in the kitchen.